So on my last post, for the Moda Modern Building Blocks pattern giveaway, I asked for you to share your favorite quilt block. When I was writing the post I almost added that in addition to Goose in a Pond being my all time favorite block ( just barely above any basket block) my least favorite block is the churn dash. There were a variety of blocks listed as favorites, some I knew, some I did not, that did not surprise me. The fact that of the comments that did list a favorite block, Churn Dash was the most popular. Nine commenters specified Churn Dash as their favorite. The next most popular was 9 patch, and it got half as many shout outs. Churn Dash, really?? The quilt finished at 71" x 71"
The fabric is Daydream by Kate Spain for Moda. It has approximately 637 pieces. This quilt was made using charm squares, but could also easily be used from scraps or jolly bars. I enjoyed making the top and it went together easily. I have no idea why I forgot to blog about it, maybe because it's not a top made from Goose in the Pond blocks, lol. 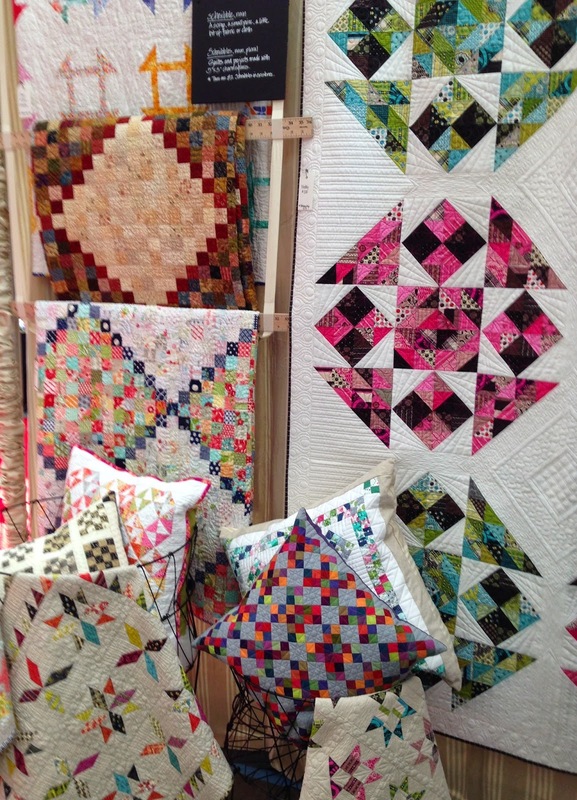 Whether or not you love churn dash blocks, you'll love the way these blocks are pieced. The pattern is available here. Kristy was the pattern winner, the Kristy that listed Tree of Life as her favorite block, I think there was more than one Kristy. Some other blocks listed as favorites more than once were Swoon ( can't argue that one) Bear Paw and Log Cabin. There were also some other traditional blocks mentioned, Wedding Ring, Flying Geese and Feathered Star. I had to look up few favorites, Double Aster, Weathervane, Clays Choice, and New York Beauty. I liked them all, thanks for sharing an unusual choice. I enjoyed seeing the new blocks. Maybe I'll have to make another sampler top! I'm working on the Nested Churn Dash and I love it. I look at Churn Dash as a basic simple quilt or a frame around little stitcheries or a filler row in a medallion quilt but still an old recognizable block. 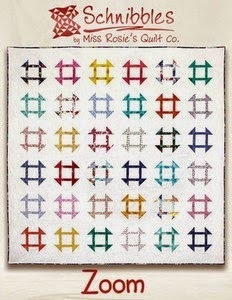 I think nothing says "Quilt" like the Ohio Star block. I don't dislike Churn Dash blocks but I do like them on point better. Or with another Churn Dash nestled inside. I have never, ever made a churn dash block. I'm thinking there is a reason why!!! If I ever get my farmers wife started, I'll make one for that. The Churn Dash block is a great beginning quilter's block. Also, I asked the members of my small quilt group to make 12" scrappy Churn Dash blocks for a queen sized charity quilt. Easy for everyone to make and it used up a lot of scraps. BTW, the blue/green and pink/brown blocks in your above picture look like a variation of the Churn Dash block. I've never made a churn dash block but do like the look of it. It looks pretty simple to make.